Round to the next whole vial and remove the required number of vials from the refrigerator to allow them to reach room temperature. Do not heat, microwave, or shake vials. The final solution will be a 1:1 dilution of MEPSEVII with 0.9% Sodium Chloride Injection, USP. 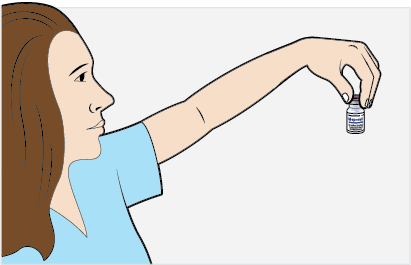 More than 1:1 dilution may be used if the patient can tolerate additional infusion volume, taking into consideration cardiac function and fluid status. 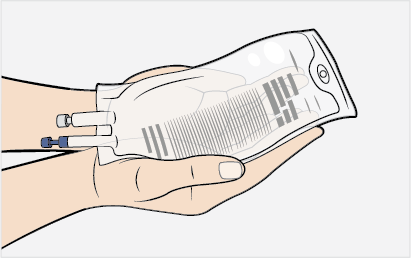 Select an empty infusion bag, sized upon the total volume of the final solution. Prior to withdrawing MEPSEVII from the vial, visually inspect the solution for particulate matter and discoloration. Because this is a protein solution, slight flocculation (thin translucent fibers) may occur. The MEPSEVII solution should be colorless to slightly yellow. Discard if the solution is discolored or if there is particulate matter in the solution. 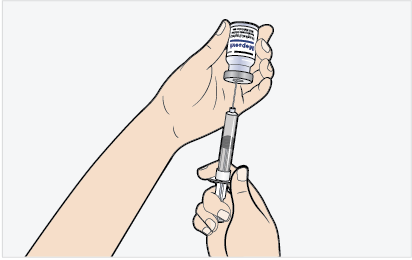 Slowly withdraw the volume of the calculated MEPSEVII dose from the appropriate number of vials (step 2) using caution to avoid excessive agitation and any air or frothing. Use a sufficiently large needle (18 gauge) to minimize bubbles in the solution. Slowly add MEPSEVII to the infusion bag using care to avoid agitation, ensuring liquid-to-liquid contact without generating bubbles or turbulence. Add 0.9% Sodium Chloride Injection, USP equal to the volume of MEPSEVII to the infusion bag. 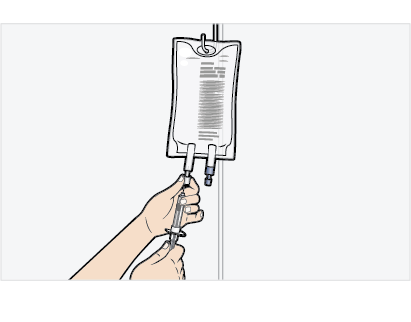 Gently rock the infusion bag to ensure proper distribution of MEPSEVII. Do not shake the solution.